Cirq+ introduces a modular technology platform that delivers an engaging and enhanced guest experience with Internet of Things in-room controls that reduce guestroom energy consumption and lower operational costs. The wall-to-wall, ceiling-to-floor technology instantly modernizes any hotel room and offers hotels and properties an easy and cost-effective way to deliver guests highly personalized experiences through Big Data analytics and reporting. “Our platform-as-a-service solution was the result of extensive global research that drove the development of a technology designed to meet the growing challenges of the hospitality industry and the changing needs of guests,” founder and CEO Yani Deros said in a statement. Cirq+ is a modular platform that includes state-of-the-art energy IoT controls for properties to remotely monitor energy usage and intelligently adjust room temperatures, lighting and outlets based on guest occupancy. This will reduce energy and improve operational efficiencies. 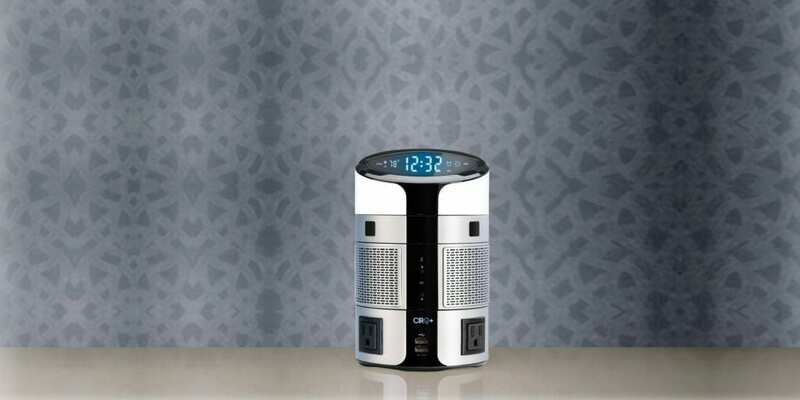 Cirq+ eliminates legacy silo devices such as thermostats, alarm clocks and other one-dimensional products by consolidating multiple in-room services into a single platform: Wireless control of temperature; smart LED light; instant-on alarm clock; Wi-Fi connectivity to HVAC, lighting and outlets (ZigBee, Zwave); thermal occupancy sensors; Bluetooth speakers and Hi-Fi audio; multiple device charging methods; 120V AC and USB 2.1A charging plugs and optional (Qi) wireless charging; hotel services and more. The solution also provides properties with a retrofit solution that is easy to install and a cost-effective way to deliver a highly personalized guest experience through big data analytics and reporting.